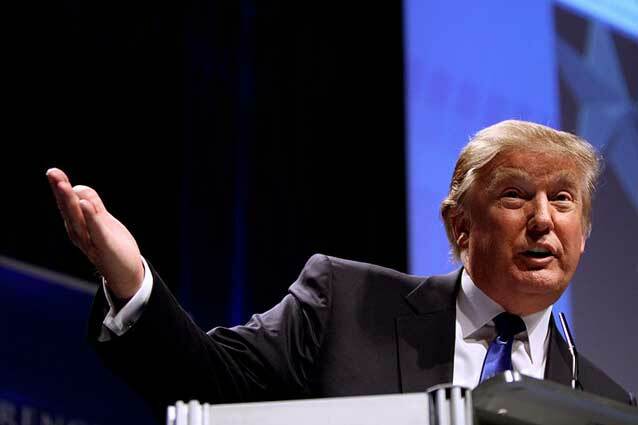 ROME, Dec 7 2017 (IPS) – US President Donald Trump’s decision to recognise Jerusalem as Israel’s capital does not represent only a ‘kiss of death’ to the two-State solution, but also a strong blow in the face of 57 Muslim countries, let alone igniting fire in this easily inflammable region, providing more false arguments to criminal terrorist groups to escalate their brutal attacks, in addition to taking a step further in Washington’s new conflict with Iran and the ‘restructuring’ of the Middle East. 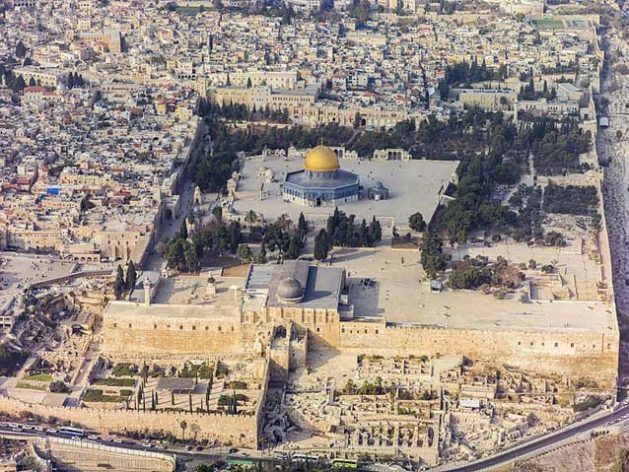 Southern aerial view of the Temple Mount, Al-Aqsa in the Old City of Jerusalem. Al-Aqsa Mosque is considered to be the third holiest site in Islam after Mecca and Medina. Credit: Godot13. Attribution: Andrew Shiva / Wikipedia / CC BY-SA 4.0. Creative Commons Attribution-Share Alike 4.0 International license. These are the main conclusions both Middle East analysts and international policy experts reached as soon as Trump announced on 6 December 2017 his decision to move the US Embassy from Tel Aviv to Jerusalem, thus recognising as capital of Israel this Holy City, home to essential shrines of Judaism, Christianity and Islam. The ‘Old City’ of Jerusalem has been steadily considered by Palestinians to become the capital of their future State, should all international agreements –including the United Nations General Assembly—implement their commitment for the two-State solution, one Israeli and one Palestinian. Israeli captured Arab East Jerusalem from Jordan in the 1967 Middle East war and since then has gradually annexed against all international protests and non-recognition. The ‘Old City’ in Jerusalem hosts Al Aqsa Mosque, the third holiest site in Islam after Mecca and Medina. Palestinian leaders have already warned that Trump’s move could have dangerous consequences, calling for massive popular mobilisations that are feared to lead to new bloodshed in the occupied West Bank and Hamas-ruled Gaza Strip. “This is much more than a kiss of death to the longstanding international consensus to establish two-States as the sole feasible solution,” a former Egyptian high-ranking military official told IPS under condition of anonymity. Donald Trump. Photo: Gage Skidmore from Peoria, AZ, United States of America. Creative Commons Attribution-Share Alike 2.0 Generic license. Gulf Sunni Arab countries are home to a high percentage of Shias who have been systematically ruled by Sunni regimes. In some of them, like Bahrain, it is estimated that the Shias represent up to 60 per cent of the total population in spite of which they are considered minorities. The Egyptian analyst would not exclude a new armed conflict between the Gulf Arab Sunni states and Shia Iran. Such an armed conflict would break the already fragile stability in the region, leading to a strong rise in oil prices. Another immediate, dangerous consequence of President Trump’s decision is a feared new wave of terrorist attacks against US, Israel and Western interests worldwide. This will tragically and dangerously unleash a new wave of hatred and Islamophobia that will only add fuel to popular anger, to the benefit of terrorist groups, added the cleric. For his part, Ahmed El-Tayeb, the Grand Imam of Egypt’s Al-Azhar – which is considered the world’s highest institution of Sunni Islamic learning– announced on 5 December 2017 that Al-Azhar rejects Trump’s decision to recognise Jerusalem as the capital of Israel. “The US president’s decision denies the rights of Palestinians and Arabs to their holy city; it ignores the feelings of one-and-a-half-billion Muslims as well as millions of Arab Christians who have a connection to Jerusalem’s churches and monasteries,” he said in a statement issued following Trump’s announcement. Egypt’s Coptic Orthodox Church and Al-Azhar issued statements warning of the “serious potential consequences” of Trump’s plan to recognise Jerusalem as Israel’s capital and to relocate the US embassy there. Egypt’s President Abdel Fattah al-Sisi stressed his country’s firm stance on preserving the legal status of Jerusalem within the framework of international references and relevant UN resolutions, stressing the need to ensure that the situation in the region is not complicated by measures that undermine the chances of peace in the Middle East. Turkish President Recep Tayyip Erdogan said Jerusalem is a “red line for Muslims,” threatening cutting relations with Israel. And Antonio Guterres, the UN secretary general, opposed Trump’s “unilateral action,” while Frederica Mogherini, the European Union’s foreign policy representative, called for resolving Jerusalem’s status through negotiations. Will words and “politically correct” statements reverse this new situation? Most likely they will not, at least if you judge by what’s happened over the last 98 years, i.e. since the then British Empire released its 1919 Balfour Declaration granting Israel a national home in Palestine. *Baher Kamal, Egyptian-born, Spanish-national secular journalist. He is founder and publisher of Human Wrongs Watch. Kamal is a pro-peace, non-violence, human rights, coexistence defender, with more than 45 years of professional experience.